With a high volume of visitors, Bondi Beach is a main attraction for tourists and locals alike. 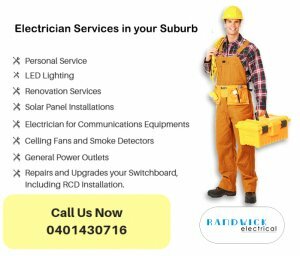 Let Randwick Electrical be your go-to choice of electrician in Bondi Beach. Maybe you’re hosting a surf seminar or planning a neighbourhood block party. If you’re going to address a large group of people, you need great audio/visual backing you up. Our electricians can take the guesswork out of audio/visual equipment, so you can focus on what truly matters: engaging with everyone who attends your one-of-a-kind event. Randwick Electricians will make sure your audio-visual equipment is up-to-date, and at an affordable price. It’s the truth: most of our customers use Randwick Electrical services for life. That’s because they find our services to be efficient and reliable. As a company, we enjoy building long-term relationships with clients. It helps us understand every individual’s unique situation and provide the best advice and deals that we can. Call Randwick for your next electrical upgrade or repair and experience the difference our team makes.